Long stay nearly over for penguin. A Fiordland Crested Penguin that has been at Massey’s Wildbase Hospital since early November, is set to be released back into the wild this week. The injured penguin was found by Department of Conservation staff on November 8, lying on a beach near Haast on the West Coast of the South Island. It was unable to stand or move well, so it was taken to a local vet, Dr Inge Bolt, who provided first aid care. 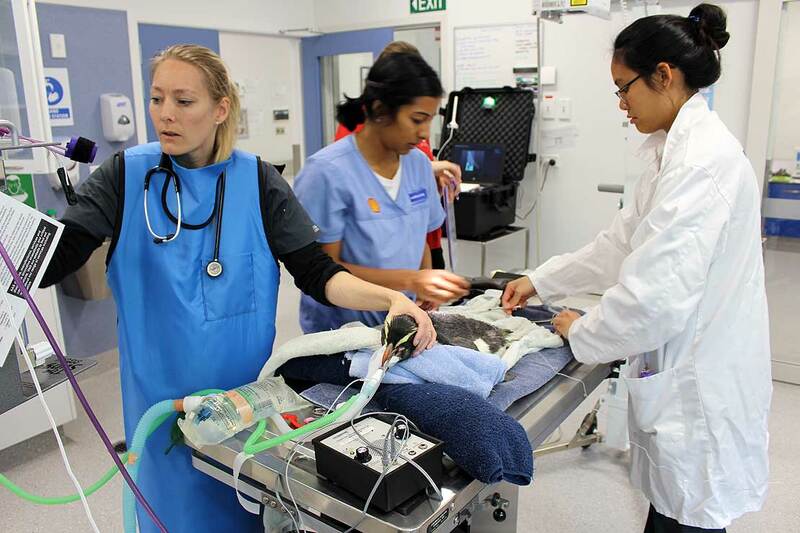 The penguin was then flown to Wildbase Hospital in Palmerston North courtesy of Air New Zealand and Fly Palmy. Wildbase Director Professor Brett Gartrell says the penguin was in bad shape. “Inge provided excellent care for the animal, but things were still bad. On arrival we found that the bird had a fractured right leg with a deep infected laceration across his abdomen. We suspect that he had survived a marine predator attack, although it wasn’t clear. 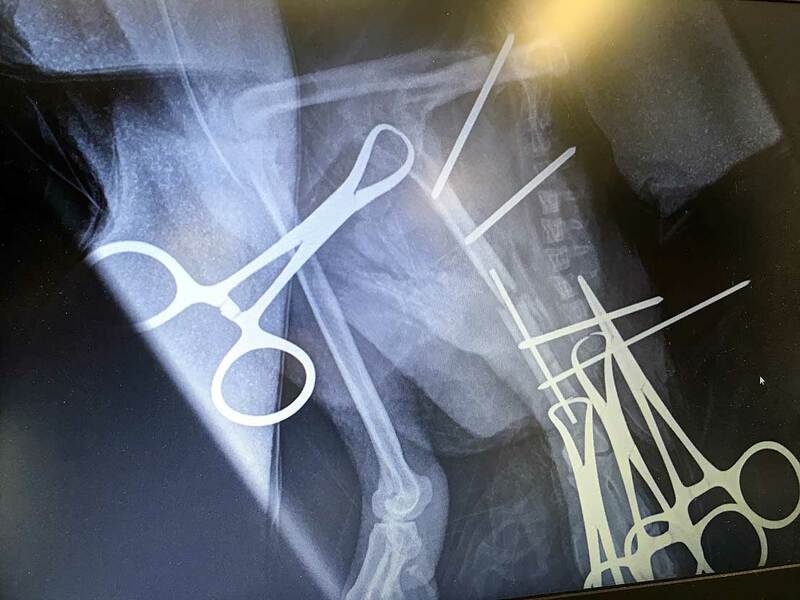 The penguin had radiographs [x-rays], blood samples were taken and he started a round of antibiotics, pain relief and was scheduled for surgery the following day. “During the surgery, pins were placed in the bone of the leg to repair the fracture, but the wound in the abdomen had to be left open initially because of the infection. Surgery took three hours and went well. The penguin was treated for the next two weeks with antibiotics, pain relief and wound care, including flushing, topical medications and bandaging,” Professor Gartrell says. Once the injuries had cleared up, another surgery was needed to close the skin over the wounds. The bone had healed by early January and the pins were removed from the leg, except for one pin which will stay inside the bone for the rest of his life. However, he was still not fit for release as the penguin had started to go into its annual moult. 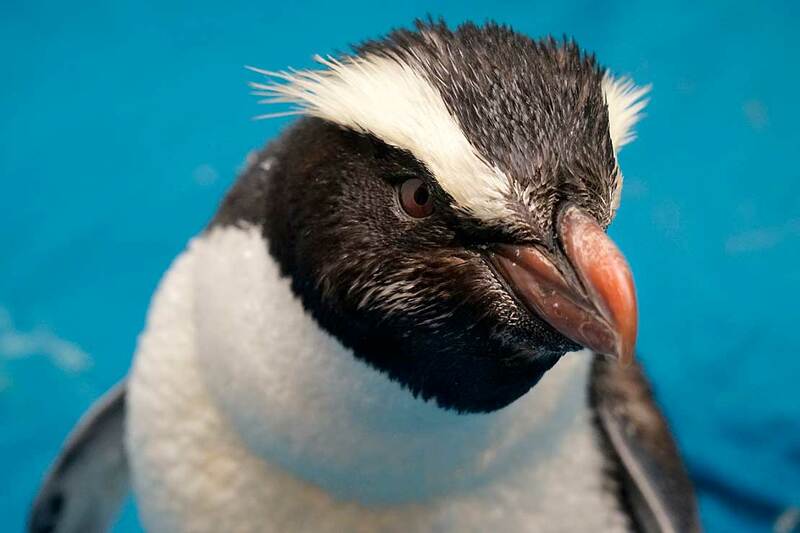 “Penguins moult all their feathers over a very short period once a year,” Professor Gartrell says. “During this time they can’t swim and they can’t feed. Normally they put on large amounts of weight prior to moulting but we had to carefully manage this birds weight gain to allow the moult to go through but not to put too much weight on the new healed leg. Plans are being put into place to return the bird to the West Coast next week for release, thanks to the support of the Department of Conservation, Air New Zealand and Fly Palmy. “The penguin will be taken to the beach and let go. This is what we call a hard release, which means he will be left to fend for himself and no extra support is needed. “The penguin may not know it, but he owes a lot of good folks out there as there have been many partners involved in getting him well and getting him back south for release. He even joined staff over Christmas and the New Year while the fracture healed,” Professor Gartrell says. The penguin is one of the rarest of New Zealand’s mainland penguins with a conservation status of “threatened–nationally vulnerable”. The population is between 2,500 and 3,000 breeding pairs and has been in decline since the 1950s. Wildbase relies on the support of sponsors and philanthropic funders through the Massey University Foundation for research and operating expenses. Patients include rare and endangered native birds, reptiles and mammals from all over New Zealand, including the kiwi, takahē, morepork, geckos, bats and many more. Xrays of the pins placed in the leg of the penguin.